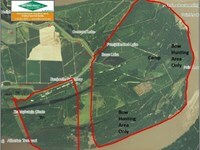 246 +/- acre Timber/Hunting land for sale with lake north of Blackhawk in Carroll Co, MS. 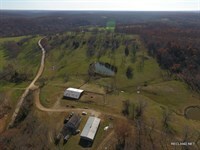 This property has rolling hills with a good road system that allows access to the entire property. Food plots have been well established and maintained to provide excellent deer and turkey hunting. Shooting houses and ladder stands are scattered throughout as well and are located in ideal locations for hunting success. The property is conveniently located off Hwy. 17 with two access roads into the property. Jackson, MS is slightly over an hour south and Memphis, TN just over 2 hours north. Starkville and Oxford, MS are both a short hour and a half drive. The tract is accessed through two locked gates just off Hwy. 17 one enters the north portion of the property and the other comes in on the south. The timber on this property consists of mostly mixed hardwoods with a large component of white and red oaks that are of merchantable size. 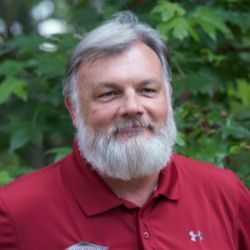 There are some scattered patches of loblolly pines that vary in age, some of which could be cut to capture some financial return soon while increasing the amount of cover and browse available to native wildlife. This is a great recreational property for a family getaway any time of the year. There are house/cabin sites that would be beautiful locations for scenic views of the lake. Minerals Conveyed Note Buyers agents see the commission information in the footer of the RecLand site. 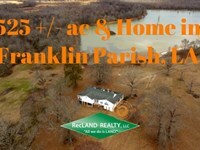 Price $738,000 or $3,000/Acre Call Nathan Renick or see the RecLand site for all our listings and aerial mapping. 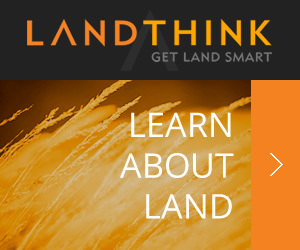 When calling broker, please say, "I found your listing 246 Ac, Hunting & Recreational on FARMFLIP."